Cycling clockwise and you have the lake on your right. It makes life easy when you want to stop and admire the view or sit with the water lapping at your feet. Which you will. This beautiful cycle ride uses plenty of specially designed cycle paths, quiet roads and just a small busy road section. But cars seem very aware of cyclists hogging the roads. A small incline into Veyrier du lac. Maybe a little detour to the pretty tiny port with a couple of cafes sitting on the lakeshore. Down into Menton passing impressive mansions and alpine chalets with gardens rich in flowers and sunshine. A busy little road section, but it looks to be improving with a new cycle path. The only bit of hill work now and a steady climb for a couple of miles with brightly coloured para gliders soaring high in the blue sky. 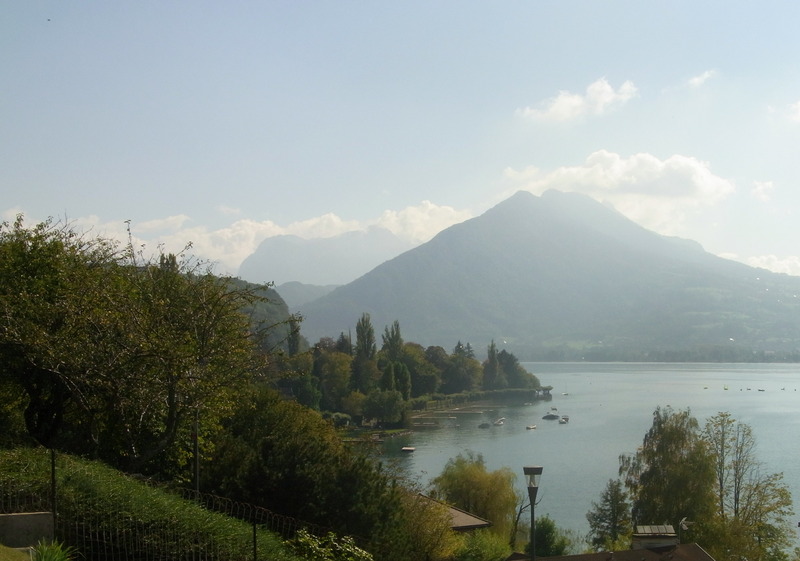 And then its a free wheel down into Talloires to join the path alongside the lake just a few feet away. Plenty of places along here for a cooling dip or to sit and watch the boats bobbing in the turquoise water. After a few miles with the lake lapping close by, we head off through open fields and back on the cycle path where the speed gently rises. Serious peddlers race by with a mission of a set time to beat. I take in the Autumn day. Warm sunshine above, Orange and red leaves and crunching acorns and even a few chestnuts all add to the excitement of the ride. Rollerblades and headphones jostle for space all ‘wired for sound’ even Mums jogging along pushing prams at speed. Towns and castles fly by and always the turquoise water can be seen. 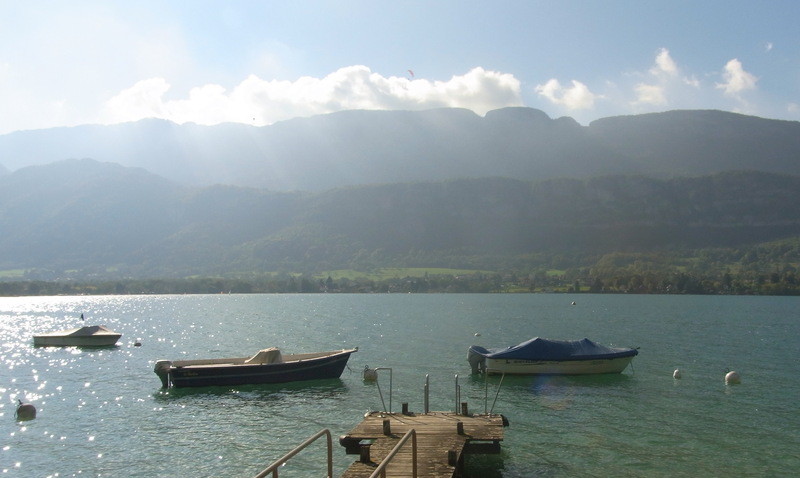 A beautiful easy ride that can be enjoyed by all, even electric bikes are trendy along this ride back into the pretty city of Annecy. 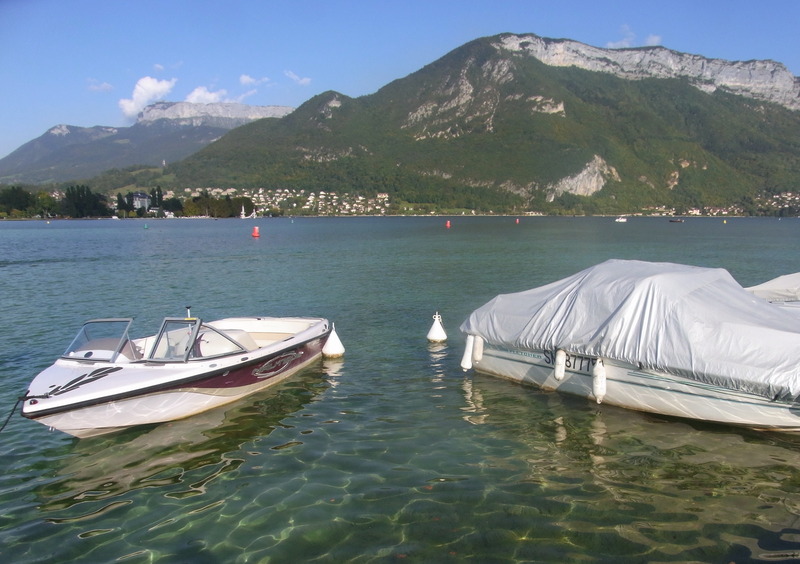 Image | This entry was posted in Cycle Paths, French Alps, Uncategorized and tagged lac Annecy cycle ride, Talloires, Veyrier du Lac. Bookmark the permalink.